Long, Michael; Sato, Charlene. 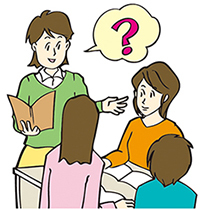 （1983）“Classroom foreigner talk discourse: forms and functions of teacher’s question”. In Seliger, Herbert; Long, Michael(eds.). Classroom Oriented research in second language acquisition. Rowley, MA: Newbury House. Ellis, Rood. （1994）The study of second language acquisition. Oxford University Press.